JinkoSolar has reported a surge in quarterly earnings thanks to its strong overseas sales. 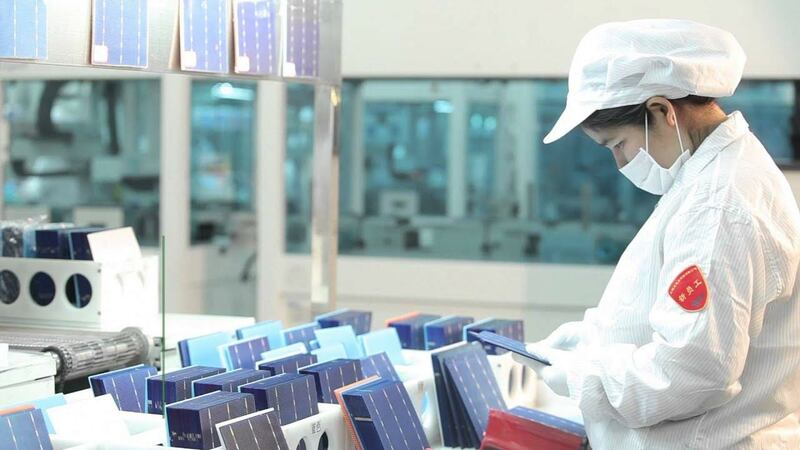 Total solar module shipments were 2,953 megawatts (“MW”), an increase of 5.7% from 2,794 MW in the second quarter of 2018 and an increase of 24.4% from 2,374 MW in the third quarter of 2017. Gross margin increased 2.9 percentage points Q-over-Q to reach 14.9% in the third quarter. It was attributable to a higher level of capacity utilization, cost improvement. The better-than-expected profit forecast was supported by the release of JinkoSolar’s latest flagship model, Cheetah. Posted earnings in the third quarter as panel sales continued, despite that some analysts warn that timing the market is growing difficult. High quality products boosted the company’s performance, driven by solid-state demand for its panels, since investors become more interested in the performance of technology and product used rather than on the comfort of a FIT subsidy. Some analysts predict that the panel business of JinkoSolar will be in an upbeat mood in 2019 as well. The demand will continue to grow, with an expectation of better-than-industry yearly growth. Looking to 2019, the industry will remain in short supply throughout the whole year while the market is likely to turn tight from the second half of 2019. Overall, the market is projected to grow YoY, especially in developed economies, including US, China, Europe. Jinkosolar is expected to further improve profitability by focusing on sales of premium products and maximizing shipments during the year-end peak season. The Company’s release of Cheetah capacity is expected to further solidify its position as a leader in the market.